Now the 3DS Internet browser is available, complete with the ability to display 3D images, you're probably bored of looking at 3D photos of other people's pets. If you're ready to see something a bit more fearsome in 3D — say, a Lagiacrus — we have you covered. Thanks to the hard work of Eighteen, whose work is hosted on GameCrunch.co, 3D screenshots of Wii and GameCube games are available to view through your 3DS right now. That's right: Monster Hunter 3 ~Tri, Super Mario Galaxy and more are now viewable in glorious 3D right through your 3DS. We've embedded a few of our favourite shots below. If you're browsing the site on your 3DS, hold your stylus on the image for a few seconds to get it to display on the top screen in 3D. For more 3D screenshots, check out Game Crunch. Monster Hunter Tri looked awesome. Out of curiosity, how does one produce a 3D image from a 2D video output? Or are his consoles/emulators modded to output 3D data? What's the 3DS Browser like, anyway? Better than the DS/PSP one? Cool.thanks for linking these.some of them look really good.Wish they would get those E3 trailers on the EU shop!! shame there was no F-Zero though.Skies of Arcadia looks awesome. Who needs flash when you got 3D pictures? I hate you so much NL!!! Nice, I so many possibilities, So many people missing out because they think Vita is all that and a bag of chips. Though, I'd love to have Vita. But I made an good choice for the moment. Some of these screenshots make me wonder the the heck this guy was thinking. Look at the first few Super Smash Bros. Melee screens, and you'll see what I mean. Thank you so much for those. A real treat! Finally a use for the browser! Nice. Whats amazing now is that i used the 3ds to type this now! They captured screenshots from Wii/NGC games, then made them into mpo files. I'm not sure what software they used but the 3D pics are basically made of 2 jpeg images (a left and a right) that are combined in the mpo file. There are already a few tutorials floating around on how to do this. 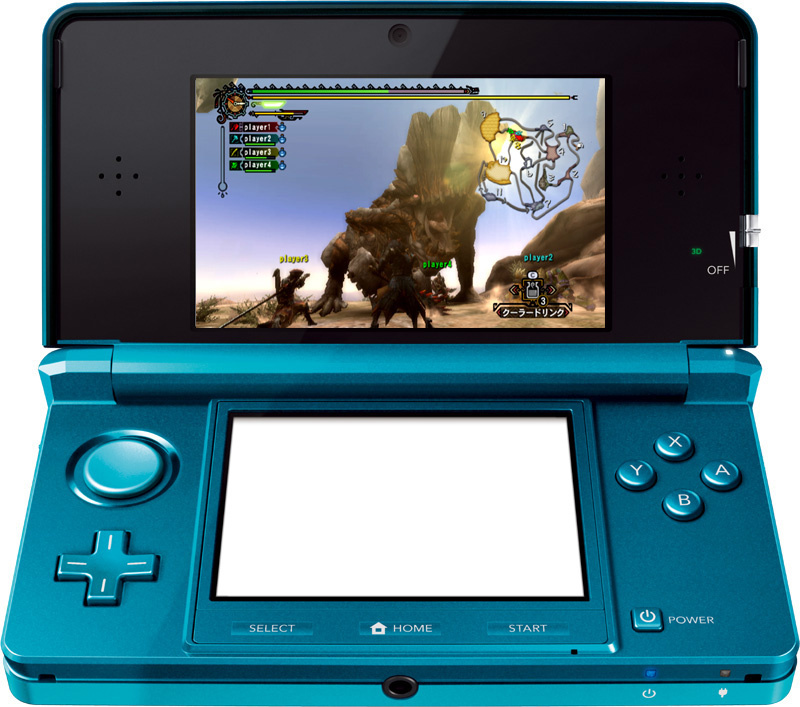 Those Monster Hunter pics just make me want a MH3DS even more. The pics were taken using a famous Wii/GC emulator and a 3D NVidia graphic card. To give the guy the proprer credits his nickname is Eighteen. Muramasa the demon blade looks awesome in 3d! 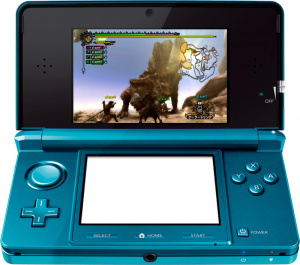 Monster Hunter 3rd G Portable 3D? Where I feel Capcom is failing is the MHF3 for PS3 will be in 3D. Its hard to imagine that there are more people with 3D tv's that will enjoy it, than people that would buy a 3DS for a 3D Monster Hunter. Some beautiful Wind Waker shots are to be found at the source site. By the way, this seems like a good time to bring up the fact that NLife desperately needs a mobile version, slimmed down with considerably smaller and cleaner HTML / CSS. Make it happen, so that reading this site on a 3DS or other device doesn't remain a nuisance. Holy molly, that' is just freaking awesome. Muramasa looks 50x better in 3D! Thanks gamecruch an NL and i agree with warioswoods, the NL rss could use some improvement also. So a fansite has 3D screenshots before the actual eShop...figures. Every 3D game should have at least 3 screenshots on the eShop. The eShop is sooo lacking to me! The browser can view 3D images? Oooo. @Lionsgate At least e-shop has 3D trailers, even movie trailers. The 3DS brower is far superior to DSi's brower. It's faster and thanks to the slide pad pleasantly easy to navigate through web sites. The fourth picture looks amazing in 3D . @warioswoods At the moment this isn't a priority — fewer than 10% of our visits come from mobile browsers, in fact. We're certainly looking to optimise the site for all our readers but this will happen later in the year. OMG, Muramasa looks awesome in 3D. Little does Nintendo know they have led the way to 3D pr0n. Ooh its like Magic Eye all over again, except without the cross-eyed bit! "At the moment this isn't a priority — fewer than 10% of our visits come from mobile browsers, in fact"
Muramasa looks amazing in my 3ds screen, wish Vanilla develop a remake or a sequel for 3ds. That was really cool how you put them in this post! I hope you can do more this way. Some really great potential here. What amazed me the most were the Zack & Wiki screens. After Okami came to the DS i think it would only be logical if Z&W visited the 3DS. Point & Click, a touch-screen and great looking 3D visuals sound like a match made in heaven to me. haha but I agree, I really really really want a monster hunter on the 3DS. and I know nintendo is smart, and eventually will announce one ;D since it will print money, it's a fact. awesome. the fire emblem ones made me salivate.